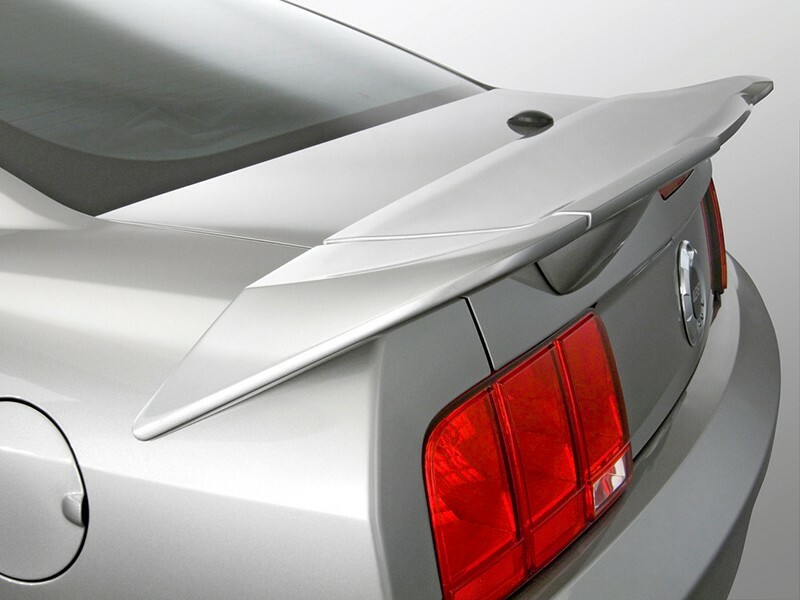 This Mustang Rear Spoiler from ROUSH® fits all 2005-2009 Mustangs and is included in the 2005-2009 Complete ROUSH Ford Mustang Body Kit (part #401421). 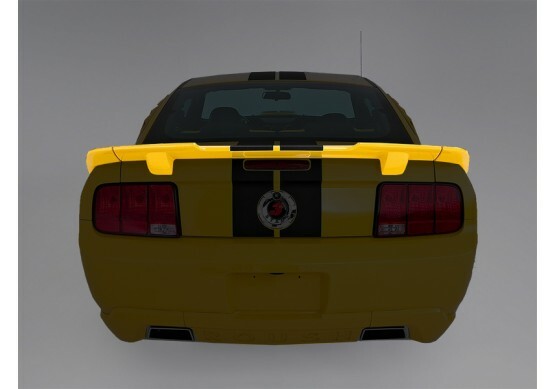 The rear spoiler kit is made from light-weight and rigid ABS (acrylonitrile butadiene styrene) for superior appearance, toughness, light-weight, heat resistance, and impact resistance, and is made in the U.S.A. at ROUSH's own plastics manufacturing facility. 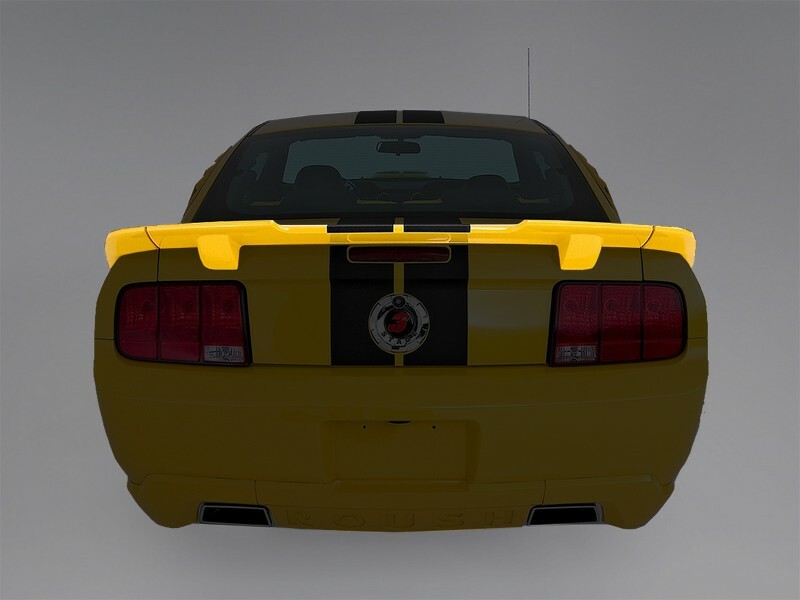 This kit is designed around original manufacturer CAD data for optimum quality and fit. As a result, installation is quick and easy. There is no time consuming trimming or sanding required as there is with our competitors' body kits. 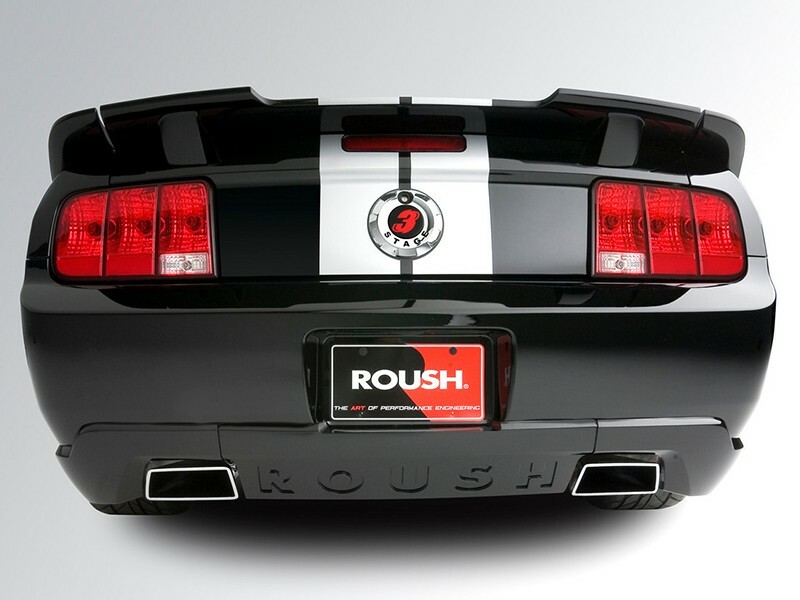 The ROUSH Ford Mustang Rear Wing kit includes templates, hardware, and high-quality adhesive tape for easy installation.